More than 30 years ago Paul Gertner developed "Unshuffled," one of the most memorable and influential routines EVER devised with a pack of cards. 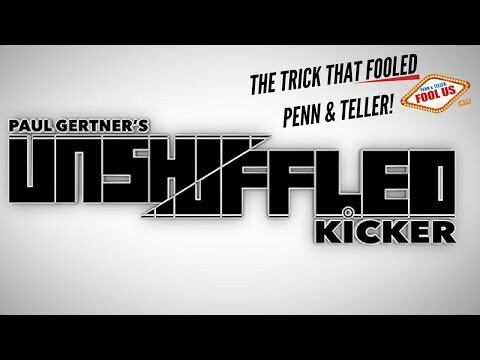 Thirty years later (and fresh off of fooling Penn & Teller), Paul is releasing the ultimate and FAR SUPERIOR version, which we call Unshuffled Kicker. This is now the definitive version of this classic routine.